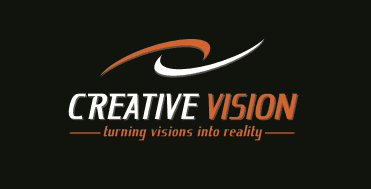 Services - Creative Vision Partners, Inc.
Large format options are now more accessible to optimize every dollar invested. There are technologies and materials to respond to every budget, size, and architectural considerations. CV is a full service design and print solution for most businesses. We strive to offer high quality products, competitive pricing and the absolute best service in the industry. CV proudly serves media companies, many large ad agencies, hotels, restaurants, event planners, corporations, sports teams, cities, government agencies, small business owners, retail stores, bands and more. By using our online order entry system we minimized our expense, and exercise bulk purchasing power to set our cost low, and the implementation of lean manufacturing techniques, we have dramatically reduced the cost of large format printing production, and we pass these savings along to our customers. Your business can now afford high quality letterforms composed of the highest quality materials and eye–catching markers on your building. If you have the font we can make it come alive in 3D. We get art! That means CV understands the exacting needs of artists, curators, and business owners. This level of involvement in art is evident in our framing solutions. Now we can frame pieces that are in the large format class. Our framing options include outdoor configurations and protection for images in high traffic areas. We combine our advanced lighting and materials expertise to illicit one of a kind reactions for your patrons. Need new copy here for finishing. Laminating bla bla mounting . CNC cutting and water jet. and maybe installation and fixtures for that final professional look.